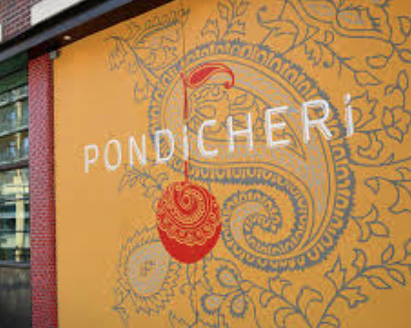 This week, acclaimed chef and restaurateur Anita Jaisinghani debuted her Houston-based Indian café and restaurant, Pondicheri, in New York City’s NoMad neighborhood. The restaurant, which offers India-inspired dishes with American sensibility, is currently open for breakfast and lunch, with dinner service launching in the coming weeks. This is Jaisinghani’s first restaurant opening in Manhattan. Inspired by the street foods and home cooking of India, Pondicheri’s menu is all about balancing the mind, body, and soul. Conceptualized by Head Chef and Owner Jaisinghani and executed by Chef Scott Jech, Pondicheri’s menu features specialties from its Houston kitchen, with the addition of some unique to New York items. Pondicheri is also home to the Bake Lab, an open-all-day creative experimental space led by Pastry Chef Ashley Dickson, which offers sweet and savory specialties such as the restaurant’s signature Chai Pie (Chai-spiced custard pie with Parle-G crust, whipped cream and candied cashews); Butter Chicken Kolache (a classic Texas morning bun filled with chicken masala); Chocolate Chili Cookies (chili and spice-infused oatmeal chocolate cookies); Pondi Bars (a sweet and savory bar made with chevda); Ladoos (spherical sweets made with flour, ghee, sugar, cardamom and almonds), and more. During morning and afternoon hours, guests may enjoy a casual menu of snacks and street favorites. For breakfast, opt for Masala Eggs, scrambled with celery, red bell pepper and spices and served with carrot paratha; or Jaggery Coconut Pancakes made with rice, almond and cardamom and topped with bananas and jaggery syrup. In the afternoon, the menu expands to include frankies (Mumbai-style stuffed roti and egg washed wraps with cilantro chutney and greens); bun kebabs (roadside sandwiches on house made buns); salads, and curries. Snacks and sides such as Samosas (savory baked pastries); Masala Wings (yogurt and ginger masala marinated wings battered in a crispy chickpea crust) and Naan (oven-baked Indian flatbread), round out the offerings. Every Monday, Pondicheri offers “Meatless Mondays,” where the entire menu is vegetarian. During dinner hours, Pondicheri will transform into a more sophisticated and refined dining experience with waiter service. Guests can expect a menu of small and large shareable plates and thalis (traditional sampler platters) that celebrate the regional diversity of India. To complement the fare, Pondicheri’s impressive beverage program features a wine list designed by acclaimed sommelier Rajat Parr. Skurnik Wines also helped curate the craft cocktail list and spirit program with libations such as the Lush Lassi (a rotating hard lassi); Crocus Sativus with dry gin, aquavit, vermouth bianco and saffron tinctures; and the Madras with chili-infused tequila blanco, 12 year rum, lime, vanilla liqueur, mango, and mace. A selection of mocktails and craft beers are also available. The 5,000 square foot, 135-seat restaurant features a modern yet industrial design inspired by India – replete with cool tones, exposed brick, ornate ceramic tiles imported from New Delhi, and grand pillars preserved from the building’s original architecture. Upon entering, guests are welcomed by a large abstract mural depicting a human-like form wrapped in string with spherical ends. The piece, created by Swedish artist Anki King, represents the ideas, dreams, hopes and thoughts that make up a being. As a nod to India’s famed night bazaars, oversized teardrop-shaped light bulbs hang staggered amongst tangled cords adding a dream-like aesthetic to the space. Every second Saturday of the month, Pondicheri hosts a “Community Breakfast,” where 50% of the proceeds from the day’s breakfast sales will benefit a local organization. For this opening year, Pondicheri will be contributing to the theatre arts, beginning with Stella Adler Studio. Pondicheri is located at 15 West 27th Street, between 5th Avenue and Broadway, in New York City. The restaurant is currently open for breakfast and lunch only, Monday through Sunday, from 7:00AM to 3:00PM. Lunch service begins at 11:00AM. The Bake Lab remains open during regular hours of operation. Dinner service will launch in the coming weeks. Reservations are accepted for dinner only, and walk-ins welcome. Take-out is available. Cash and all major credit cards are accepted. For more information, please call 646-878-4375, visit www.pondichericafe.com, or follow Pondicheri on Facebook (/pondicheri), Instagram and Twitter (@pondicheri).